First, know that this process does not need to be complex, frustrating, or protracted. 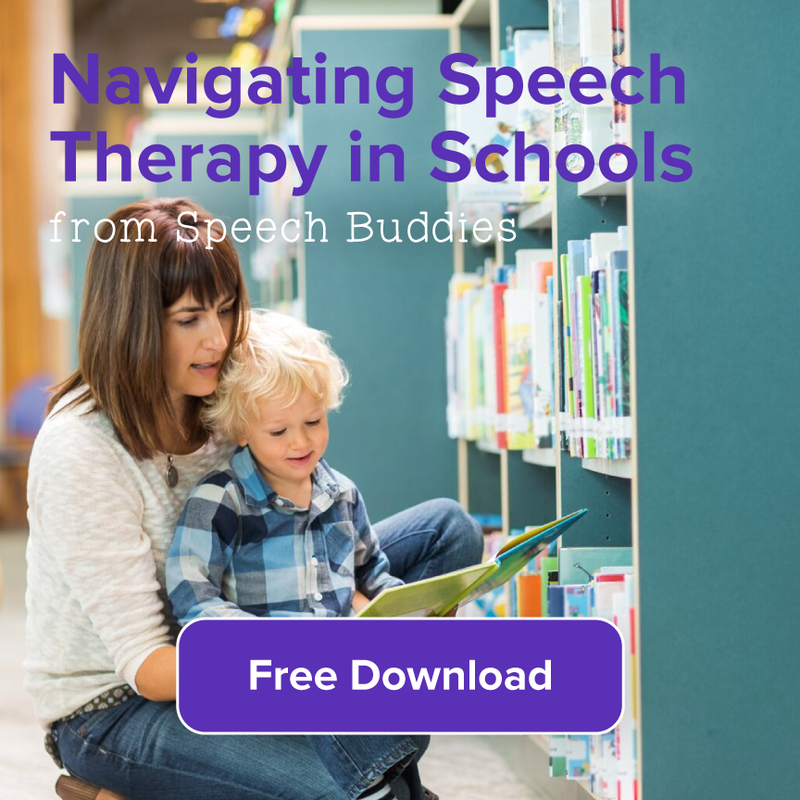 There are thousands of amazingly qualified Speech-Language Pathologists working on a private, fee-for-service basis, and they are very familiar with the resources available to you and your family. Although some therapists do accept health insurance, for the most part, insurance coverage is quite limited. The great benefit of private services is that you can start the evaluation and therapy process as soon as you find a therapist – no need to wait for authorization. A good therapist will guide you through the process every step of the way, from initial screening or evaluation to the development of a comprehensive, family-centered treatment plan. However, depending on the age of the child and nature of the communication challenge, a number of cost-free, public options may exist for families. This guide below, delineated by the age of the child, is an introduction to the various state, local, and federal resources available to families. See where you’re eligible to secure the services your family deserves. Does your child follow simple, one-step commands? Has your child begun to combine two words into a short phrase? 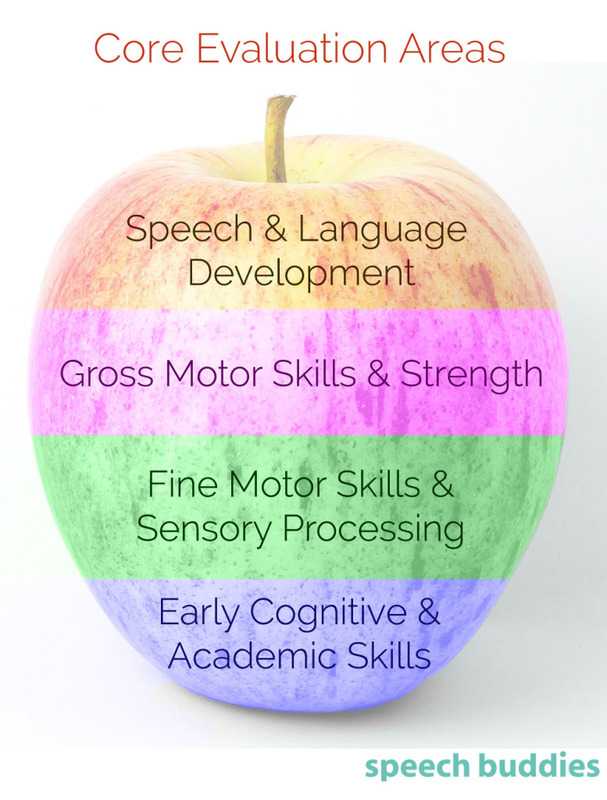 The American Speech-Language-Hearing Association (ASHA) provides a useful summary of early language skills. At this age your child’s language skills are more important than their speech clarity. Although speech clarity is important, it is very normal for a child to have less-than-perfectly-clear speech, even as a 3 year old. 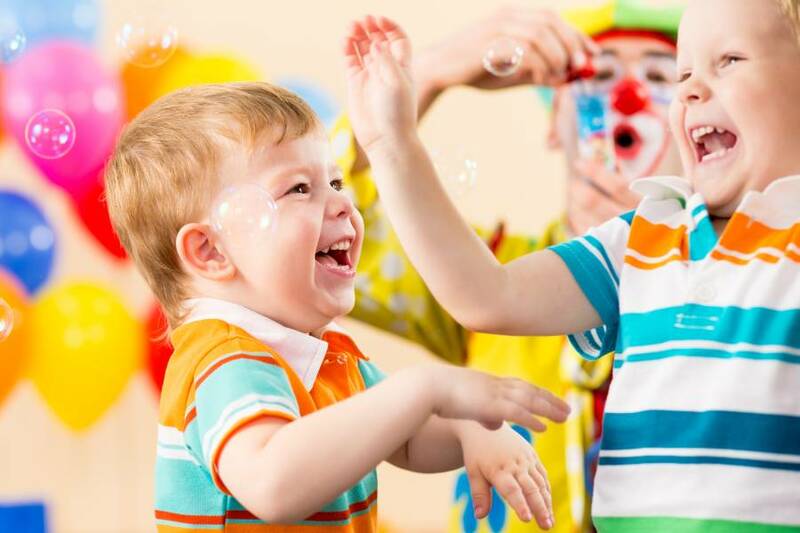 Your pediatrician will also likely ask about your child’s play skills and what we would term, their “social relatedness.” These skills are certainly correlated with language development and any concerns about a child’s play skills or social relatedness should also be looked into in greater depth. My child is recommended for evaluation, now what? So, let’s say your pediatrician (or your child’s day care provider or classroom teacher) recommends a speech and language evaluation. What are the next steps? Other than immediately contacting a great local therapist, your local Early Intervention Program is a federally-mandated, state-funded, and locally administered program set up to serve the needs of at-risk children. Each state has its own guidelines for eligibility and coverage — some are free while others may have a co-payment — but I will use New York State, where I live and work, as an example. Here is a list of early intervention programs by state to use as your first point of reference in this process for other states. Generally, in order to be eligible for services, a child must score 2 standard deviations below the mean in any one of these four domains, or 1.5 standard deviations below the mean in any two or more of these four domains. 2 standard deviations below the mean translates to roughly 2-5th percentile, 1.5 standard deviations below the mean translates to roughly 6-10th percentile. If your child is found to be eligible, another meeting will take place to set the number of sessions per week according to an Individual Family Service Plan (IFSP). One or two 30-minute sessions delivered in the child’s home or day care facility is typical. Every six months, parents and Early Intervention Administrators will reconvene to discuss progress and renew eligibility. At three years of age, a child will “age out” and either be discharged from services, or be referred to the family’s local board of education to determine if the child would be eligible for further services. My child didn’t qualify, now what? As you can see, many children do not qualify for state assistance, but still would benefit from a boost to their speech and language skills. What if your child scores in the 20th percentile? That may or may not warrant a long-term concern, but that child could potentially be at risk for future academic challenges. The only remaining option for therapy is private therapy. One great way to find local therapists is Speech Buddies Connect. Simply input your zip code, to find an array of great local therapists ready to help your child achieve his speech and language potential. More and more research is published in support of intervening early across all developmental domains. It is no surprise that parents are increasingly becoming aware that there are great services available to them, should they have a concern about their child. Unfortunately, because of state budget challenges, less funding has been allocated to these programs. This is a shame. Early intervention is perhaps the best investment parents and society as a whole can make; after all, our children are our future and we should do everything we can to better their development. On your child’s third birthday, responsibility for providing a Free and Appropriate Public Education (FAPE) falls on your local board of education. 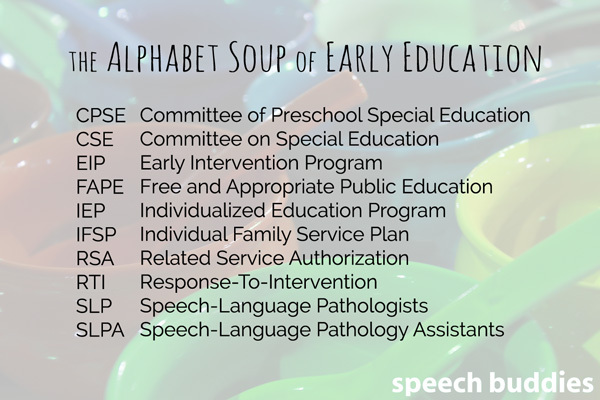 Often, a child in Early Intervention will be automatically referred to his local Committee of Preschool Special Education (CPSE) for an evaluation. However, if your child has not received Early Intervention services and you would like to have him or her evaluated, simply contact the CPSE representative in your local area. In smaller districts, there is usually one person coordinating evaluation and provision of services; in larger districts like NYC you will have to locate your local district to find a CPSE representative within that district. Generally the process is similar, except that services may be provided at home, school, or at the provider’s place of business. Usually, individual sessions are provided for 45 minutes, twice per week. Services are provided according to a child’s Individualized Education Program (IEP). There are more kids served by the NYC Department of Education than live in over eighty countries! In my experience, eligibility requirements are not quite as stringent in CPSE, but many children who could use a boost in their speech and language skills are not deemed eligible. This leaves parents to find a trustworthy, licensed local therapist. 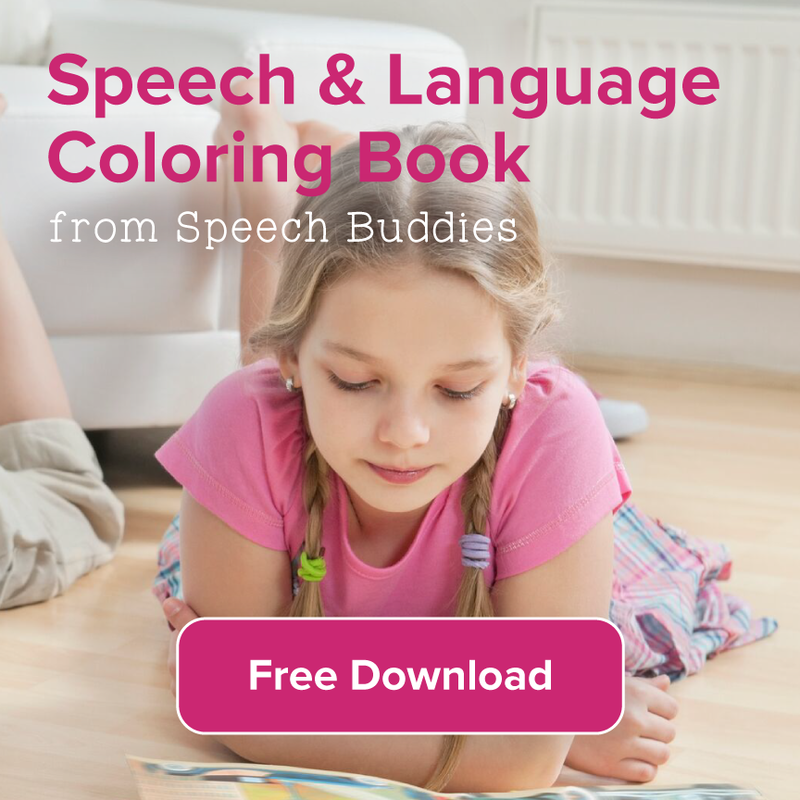 Speech Buddies Connect therapists who work with kids in the 4-8 age range are often willing to do home visits, within certain geographic constraints, so there is a lot of flexibility. Children in kindergarten become the responsibility of your local Committee on Special Education (CSE). Again, service eligibility is determined according to the results of (yet another) evaluation. A child who received services under CPSE cannot be automatically qualified for services under CSE; this evaluation is mandatory. However, one crucial difference between CPSE and CSE is that by kindergarten, the vast majority of public schools, and more recently public charter schools, have in-house therapists ready to take on your child’s case. If, in the event that your school does not have an in-house therapist, your child will be issued a Related Service Authorization (RSA) that you may take to a local therapist that is listed as an eligible provider with your local department of education. Often, the onus is on the parent to track down a therapist from this list of providers. If your child has a documented language-learning challenge that would affect his or her academic development, then your child would almost definitely be referred for services. However, there is a very wide range of coverage by local CSEs for speech clarity and articulation challenges. Some schools adhere to a strict educational model in which speech clarity challenges, no matter how they affect your child’s social or emotional development, are not covered unless they are severe, or directly affecting your child’s academic development. New York City, unfortunately, is an example of this approach. Other school districts will cover all speech challenges; others still will have more severe speech challenges treated by the in-house or contracted speech therapist, with the mild to moderate cases covered according to a Response-To-Intervention (RTI) approach, which may include trained classroom teachers or Speech-Language Pathology Assistants (SLP-As). You can also expect school-based services to be delivered in a group of 3 to 5 students (in two 30-minute sessions per week) due to budget constraints and persistent shortages of speech therapists. Private therapy options are always available when a child is denied coverage by a school district, or if a parent feels that group therapy is not an efficient way to address her child’s speech challenge. Every year, a meeting is convened to update your child’s IEP. 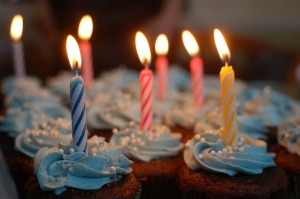 Once all annual goals have been met, a child may be de-certified or discharged from therapy. Although the process is somewhat different depending on your child’s age, it is worth exploring your local Early Invention Program, Committee on Preschool Special Education (CPSE) or Committee on Special Education (CSE) to determine if your child is eligible for services. Valuable, publicly funded services are out there. I hope this blog post has helped you make more sense of it all. 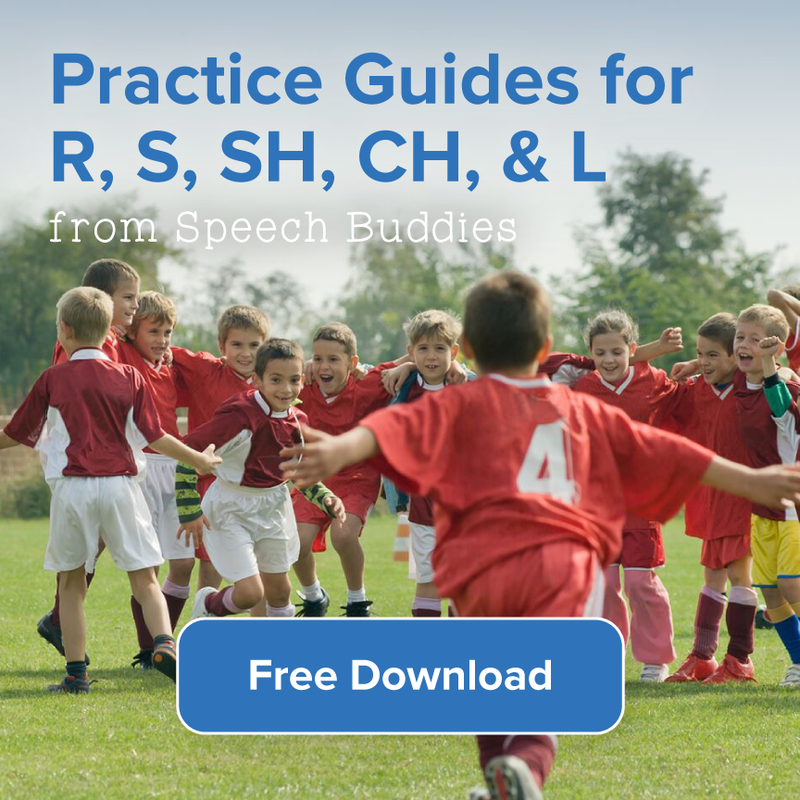 In addition, some of the nation’s most experienced and innovative clinicians can be found on Speech Buddies Connect. One last piece of advice I have for parents is to demand that their therapist, whether via a public route like Early Intervention or via private services, employ the latest evidence-based materials and strategies according to a therapy configuration (i.e. schedule, location) that best meets your family’s needs, and provide you with a comprehensive home-based therapy program (e.g. Speech Buddies Games). 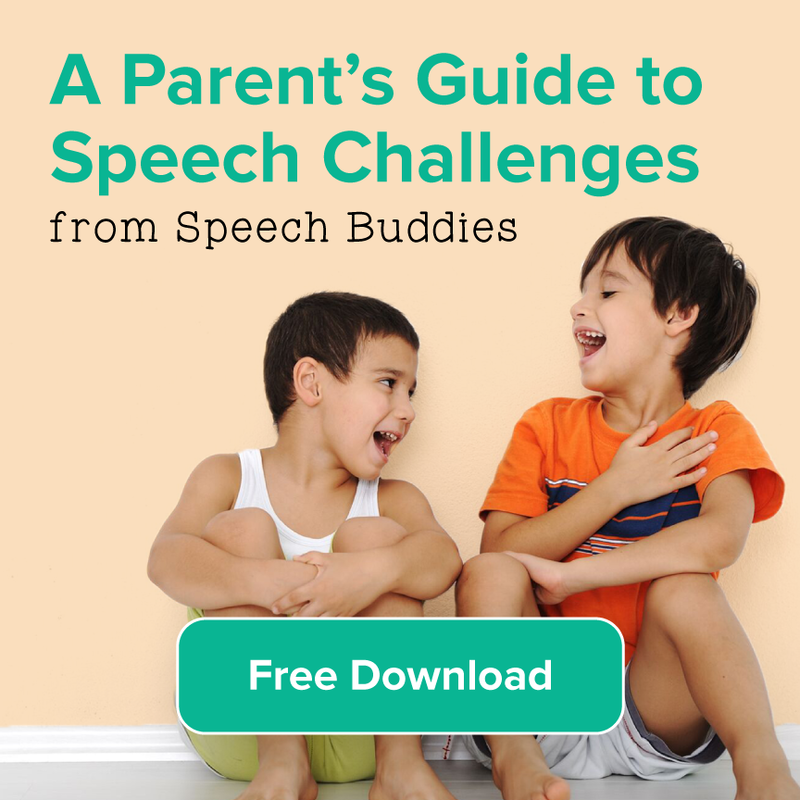 Armed with this information and high expectations, I’m sure you and your family will overcome your child’s speech challenge in as little time as possible! I think my child needs speech therapy!